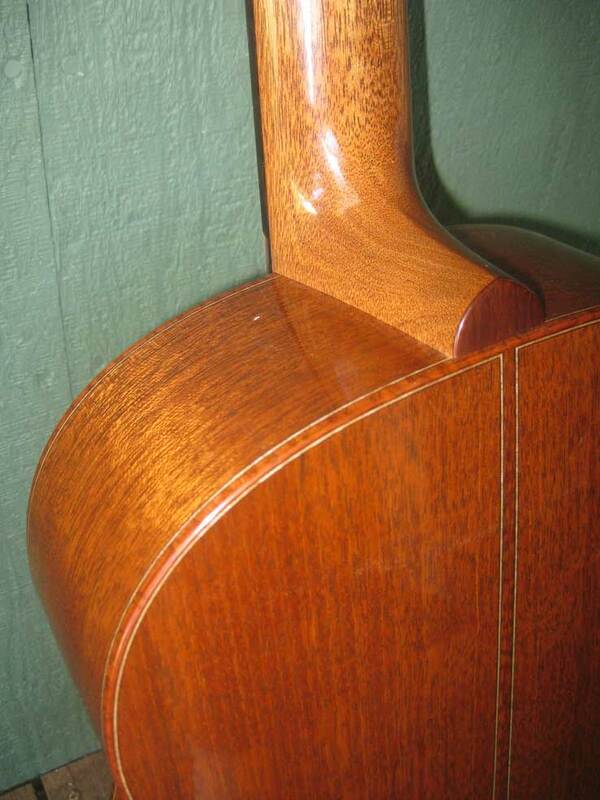 FT-000-D by Bruce Sexauer in 2010,Honduras Mahogany back and sides with a Carpathian Spruce top. 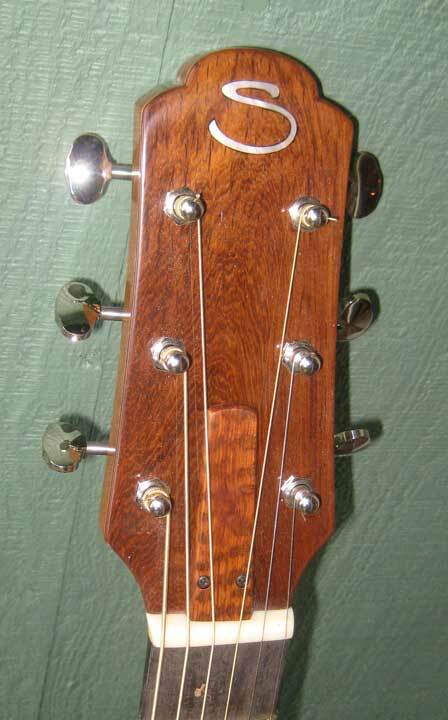 This guitar is a modified Dreadnaught, being just 15 1/16" wide and 4 3/8"deep, and having a slight wedge to the body. 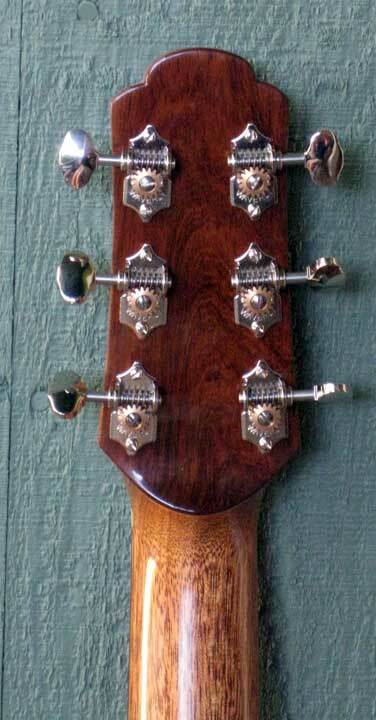 It is also 12 frets to the body, and slightly slope shouldered. This is the first time I've done anything like this, and it works very nicely, having more bass than a typical 000 in combonation with extraordinary power and a lovely mid-range and treble.